This post was made in partnership with JOANN. All opinions are my own. I recently shared the photo above on my Instagram. I had a few questions about it, so I decided I would whip up a quick tutorial so if anyone else wants to give it a try, they can! 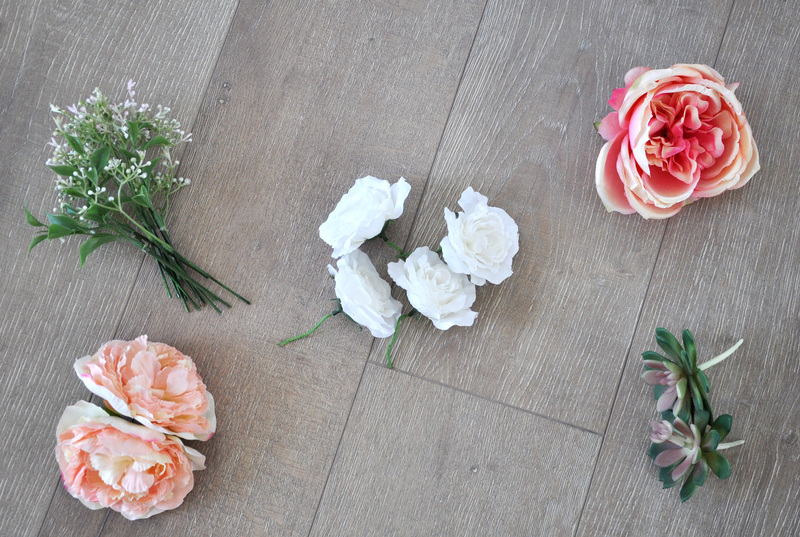 I got totally caught up with the floral section while I was at JOANN–so I decided to make a wreath. Something I haven’t really done before, at least not with florals! They have so many beautiful flowers and succulents, I ended up staying there for over an hour just trying to decide what I wanted to use! I ended up purchasing a boxwood wreath, some flowers, and a few succulents and sprigs to make a fun and summery wreath. If you want to make a similar wreath, you can buy everything I used at JOANN for yourself. 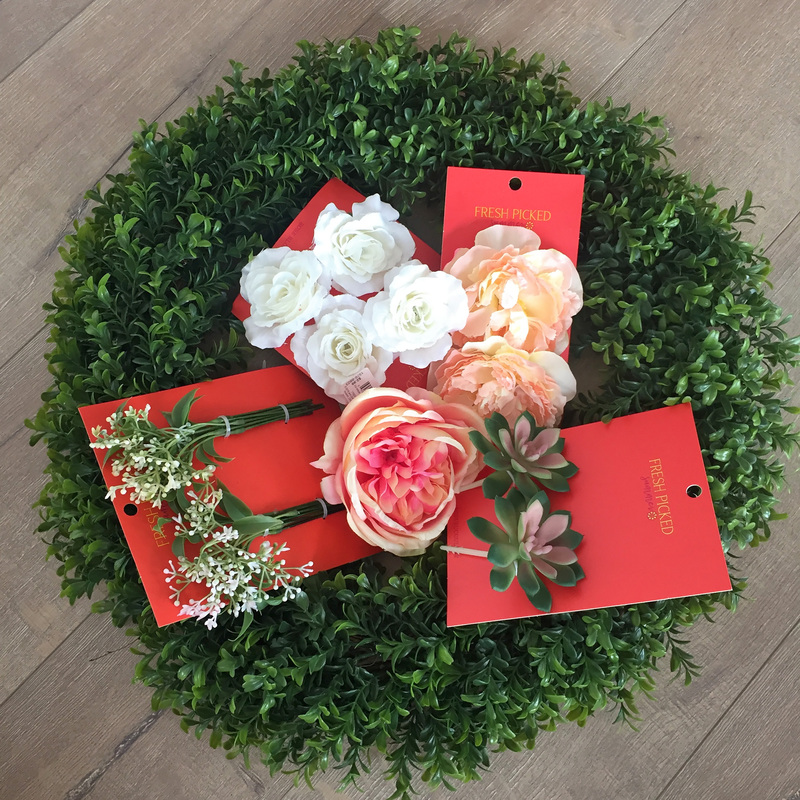 Most of the pieces came with bright orange packaging–which should make it pretty easy for you to locate. Please note that while I was able to find these all in-store, I haven’t been able to find the exact products on the website, so I have linked to some similar items instead. 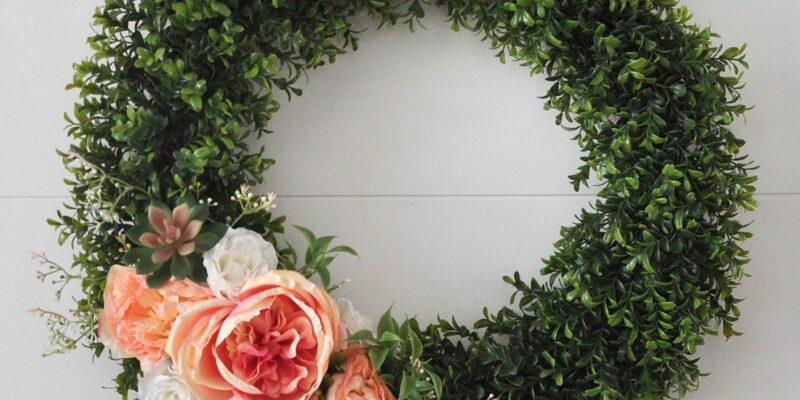 Because the boxwood wreath does most of the work for you, this wreath is quite easy to make! I’ve created a step-by-step pictorial for you below so you can see exactly how I pieced mine together. I also recommend grabbing a command hook while you are there, so you have something to hang it on once it’s done. I got a white one, but if you want to hang the wreath on a glass door or window, I suggest getting their clear hook instead. Overall, I am pretty thrilled with how the wreath turned out! I love that it’s bigger than the average wreath size because we have really large doors in our new house. The bigger wreath size feels a little more proportional. 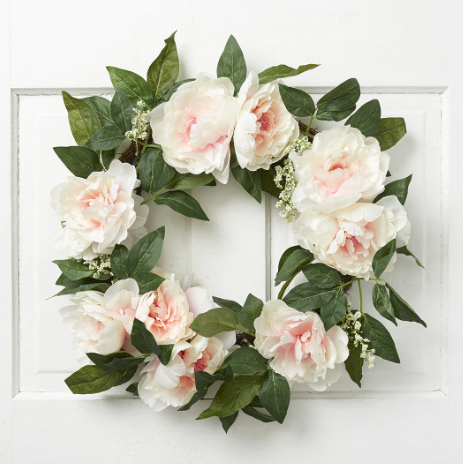 As I was looking for the supplies online, I can across some of new wreaths already made by JOANN, and you guys, you can’t go wrong with any of them! Here are some of my favorites! Peony Wreath I love the large leaves on this one, it makes it feel a little more wild and unkempt. 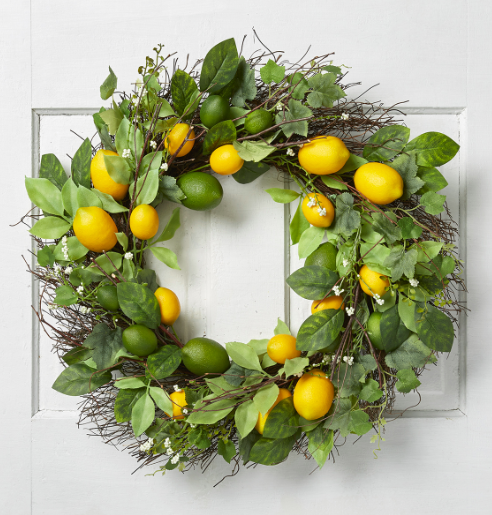 Lemon Wreath You really can’t go wrong with lemons. The citrus feel of this is perfect for summer! 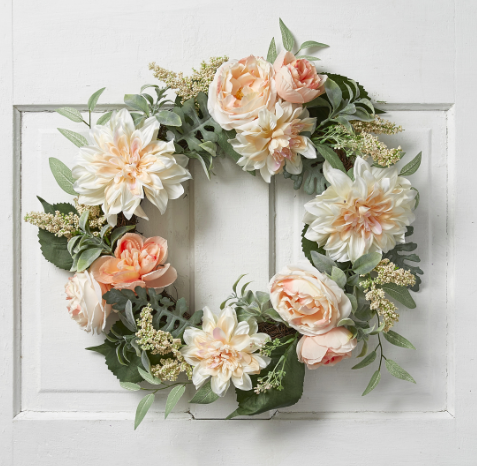 Rose and Dahlia Wreath This one is super girly and sweet, it would look really pretty in a nursery for a baby girl. 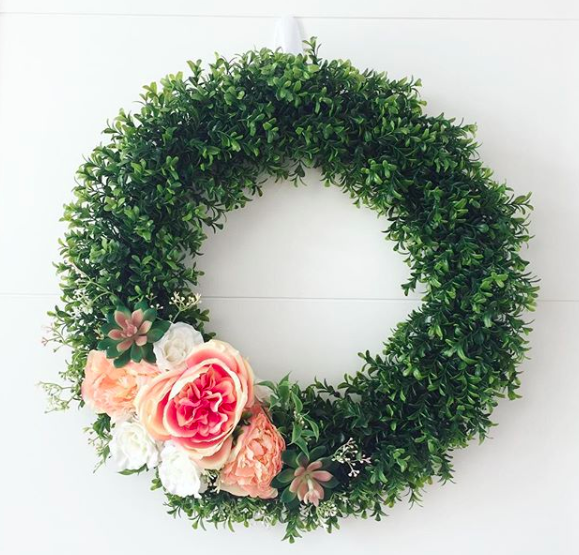 Do you have any wreath making tips or any favorite styles? I’d love to know them! Please let a comment below.